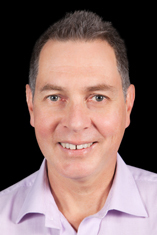 Professor Matt Wand is a Distinguished Professor of Statistics at University of Technology Sydney. He has held faculty appointments at Harvard University, Rice University, Texas A&M University, University of New South Wales and University of Wollongong. In 2008 Professor Wand became an elected Fellow of the Australian Academy of Science. He also has been awarded two Australian Academy of Science honorific awards for statistical research: the Moran Medal in 1997 for outstanding research by scientists under the age of 40 and the Hannan Medal in 2013 for career research in statistical science. In 2013 he was awarded the University of Technology Sydney, Chancellor's Medal for Exceptional Research. He received the 2013 Pitman Medal from the Statistical Society of Australia in recognition of outstanding achievement in, and contribution to, the discipline of Statistics. Professor Wand is an elected fellow of the American Statistical Association, the Institute of Mathematical Statistics and the Australian Mathematical Society. Professor Wand has co-authored two books and more than 115 papers in statistics journals. He has several packages in the R language on the Comprehensive R Archive Network. In 2002 Professor Wand was ranked 23 among highly cited authors in mathematics and statistics for the period 1991–2001. He has been a member of the ‘ISI Highly Cited Researchers’ lists. Since 2000 Professor Wand has been principal investigator on eight major grants. A recent one, an Australian Research Council Discovery Project, is titled ‘Fast Approximate Inference Methods: New Algorithms, Applications and Theory’ and will run for the years 2018–2020. Another is the `Australian Research Council Centre of Excellence for Mathematical and Statistical Frontiers' and is running during 2014-2020. For more information visit his personal website http://matt-wand.utsacademics.info. Matt serves as an associate editor for the Statistics journal: Australian and New Zealand Journal of Statistics. He has previously served as an associate editor for the Journal of the American Statistical Association, Biometrika and Statistica Sinica. He also participates in committee work within the Australian Academy of Science and the Australian Research Council. Professor Wand is chiefly interested in the development of statistical methodology for finding useful structure in large multivariate data sets. Currently, Matt’s specific interests include: expectation propagation, message passing algorithms, variational approximate methods, statistical methods for streaming data, generalised linear mixed models and semiparametric regression. He is also very interested in Statistical Computing and contributes to the field's main software repository — the ‘Comprehensive R Archive Network’. Recent research by Wand and co-authors on real-time semiparametric regression is described on the Real-time Semiparametric Regression website (opens an external site). This easy-to-follow applied book expands upon the authors' prior work on semiparametric regression to include the use of R software. In 2003, authors Ruppert and Wand co-wrote Semiparametric Regression with R.J. Carroll, which introduced the techniques and benefits of semiparametric regression in a concise and user-friendly fashion. Fifteen years later, semiparametric regression is applied widely, powerful new methodology is continually being developed, and advances in the R computing environment make it easier than ever before to carry out analyses. Semiparametric Regression with R introduces the basic concepts of semiparametric regression with a focus on applications and R software. This volume features case studies from environmental, economic, financial, and other fields. The examples and corresponding code can be used or adapted to apply semiparametric regression to a wide range of problems. It contains more than fifty exercises, and the accompanying HRW package contains all datasets and scripts used in the book, as well as some useful R functions. This book is suitable as a textbook for advanced undergraduates and graduate students, as well as a guide for statistically-oriented practitioners, and could be used in conjunction with Semiparametric Regression. Readers are assumed to have a basic knowledge of R and some exposure to linear models. For the underpinning principles, calculus-based probability, statistics, and linear algebra are desirable. Ruppert, D, Wand, M & Carroll, RJ 2003, Semiparametric Regression, 1, Cambridge University Press, New York. Wand, M. & Jones, M.C. 1995, Kernel Smoothing, First, Chapman and Hall, London. © 2018 Australian Statistical Publishing Association Inc. Published by John Wiley & Sons Australia Pty Ltd. Expectation propagation is a general approach to deterministic approximate Bayesian inference for graphical models, although its literature is confined mostly to machine learning applications. We investigate the utility of expectation propagation in generalised, linear, and mixed model settings. We show that, even though the algebra and computations are complicated, the notion of message passing on factor graphs affords streamlining of the required calculations and we list the algorithmic steps explicitly. Numerical studies indicate expectation propagation is marginally more accurate than a competing method for the models considered, but at the expense of bigger algebraic and computational overheads. There is substantial interest in assessing how exposure to environmental mixtures, such as chemical mixtures, affect child health. Researchers are also interested in identifying critical time windows of susceptibility to these complex mixtures. A recently developed method, called lagged kernel machine regression (LKMR), simultaneously accounts for these research questions by estimating effects of time-varying mixture exposures, and identifying their critical exposure windows. However, LKMR inference using Markov chain Monte Carlo methods (MCMC-LKMR) is computationally burdensome and time intensive for large datasets, limiting its applicability. Therefore, we develop a mean field variational Bayesian inference procedure for lagged kernel machine regression (MFVB-LKMR). The procedure achieves computational efficiency and reasonable accuracy as compared with the corresponding MCMC estimation method. Updating parameters using MFVB may only take minutes, while the equivalent MCMC method may take many hours or several days. We apply MFVB-LKMR to PROGRESS, a prospective cohort study in Mexico. Results from a subset of PROGRESS using MFVB-LKMR provide evidence of significant positive association between second trimester cobalt levels and z-scored birthweight. This positive association is heightened by cesium exposure. MFVB-LKMR is a promising approach for computationally efficient analysis of environmental health datasets, to identify critical windows of exposure to complex mixtures. © 2018 Australian Statistical Publishing Association Inc. Published by John Wiley & Sons Australia Pty Ltd. We demonstrate the use of our R package, gammSlice, for Bayesian fitting and inference in generalised additive mixed model analysis. This class of models includes generalised linear mixed models and generalised additive models as special cases. Accurate Bayesian inference is achievable via sufficiently large Markov chain Monte Carlo (MCMC) samples. Slice sampling is a key component of the MCMC scheme. Comparisons with existing generalised additive mixed model software shows that gammSlice offers improved inferential accuracy, albeit at the cost of longer computational time. © 2017 American Statistical Association. We show how the notion of message passing can be used to streamline the algebra and computer coding for fast approximate inference in large Bayesian semiparametric regression models. In particular, this approach is amenable to handling arbitrarily large models of particular types once a set of primitive operations is established. The approach is founded upon a message passing formulation of mean field variational Bayes that utilizes factor graph representations of statistical models. The underlying principles apply to general Bayesian hierarchical models although we focus on semiparametric regression. The notion of factor graph fragments is introduced and is shown to facilitate compartmentalization of the required algebra and coding. The resultant algorithms have ready-to-implement closed form expressions and allow a broad class of arbitrarily large semiparametric regression models to be handled. Ongoing software projects such as Infer.NET and Stan support variational-type inference for particular model classes. This article is not concerned with software packages per se and focuses on the underlying tenets of scalable variational inference algorithms. Supplementary materials for this article are available online. Streamlined mean field variational Bayes algorithms for efficient fitting and inference in large models for longitudinal and multilevel data analysis are obtained. The number of operations is linear in the number of groups at each level, which represents a two orders of magnitude improvement over the naïve approach. Storage requirements are also lessened considerably. We treat models for the Gaussian and binary response situations. Our algorithms allow the fastest ever approximate Bayesian analyses of arbitrarily large longitudinal and multilevel datasets, with little degradation in accuracy compared with Markov chain Monte Carlo. The modularity of mean field variational Bayes allows relatively simple extension to more complicated scenarios. Rohde, D & Wand, MP 2016, 'Semiparametric mean field variational bayes: General principles and numerical issues', Journal of Machine Learning Research, vol. 17, no. 172, pp. 1-47. © 2016 David Rohde and Matt P. Wand.We introduce the term semiparametric mean field variational Bayes to describe the relaxation of mean field variational Bayes in which some density functions in the product density restriction are pre-specified to be members of convenient parametric families. This notion has appeared in various guises in the mean field variational Bayes literature during its history and we endeavor to unify this important topic. We lay down a general framework and explain how previous relevant methodologies fall within this framework. A major contribution is elucidation of numerical issues that impact semiparametric mean field variational Bayes in practice. We consider approximate inference methods for Bayesian inference to longitudinal and multilevel data within the context of health science studies. The complexity of these grouped data often necessitates the use of sophisticated statistical models. However, the large size of these data can pose significant challenges for model fitting in terms of computational speed and memory storage. Our methodology is motivated by a study that examines trends in cesarean section rates in the largest state of Australia, New South Wales, between 1994 and 2010. We propose a group-specific curve model that encapsulates the complex nonlinear features of the overall and hospital-specific trends in cesarean section rates while taking into account hospital variability over time. We use penalized spline-based smooth functions that represent trends and implement a fully mean field variational Bayes approach to model fitting. Our mean field variational Bayes algorithms allow a fast (up to the order of thousands) and streamlined analytical approximate inference for complex mixed effects models, with minor degradation in accuracy compared with the standard Markov chain Monte Carlo methods. Copyright © 2015 John Wiley & Sons, Ltd.
© 2016, Institute of Mathematical Statistics. All rights reserved. We derive the explicit form of expectation propagation for approximate deterministic Bayesian inference in a simple statistical model. The model corresponds to a random sample from the Normal distribution. The explicit forms, and their derivation, allow a deeper understanding of the issues and challenges involved in practical implementation of expectation propagation for statistical analyses. No auxiliary approximations are used: we follow the expectation propagation prescription exactly. A simulation study shows expectation propagation to be more accurate than mean field variational Bayes for larger sample sizes, but at the cost of considerably more algebraic and computational effort. © 2016 The Royal Statistical Society Making effective public policy decisions is challenging at the best of times, but especially in the context of environmental regulation, which typically requires managing opposing interests and strong opinions from industry and private citizens. In this case study, Louise Ryan, Matt Wand and Alan Malecki show how statistical analysis can help resolve conflict and inform effective decision-making under uncertainty. We develop algorithms for performing semiparametric regression analysis in real time, with data processed as it is collected and made immediately available via modern telecommunications technologies. Our definition of semiparametric regression is quite broad and includes, as special cases, generalized linear mixed models, generalized additive models, geostatistical models, wavelet nonparametric regression models and their various combinations. Fast updating of regression fits is achieved by couching semiparametric regression into a Bayesian hierarchical model or, equivalently, graphical model framework and employing online mean field variational ideas. An Internet site attached to this article, realtime-semiparametric-regression.net, illustrates the methodology for continually arriving stock market, real estate, and airline data. Flexible real-time analyses based on increasingly ubiquitous streaming data sources stand to benefit. This article has online supplementary material. We investigate mean field variational approximate Bayesian inference for models that use continuous distributions, Horseshoe, Negative-Exponential-Gamma and Generalized Double Pareto, for sparse signal shrinkage. Our principal finding is that the most natural, and simplest, mean field variational Bayes algorithm can perform quite poorly due to posterior dependence among auxiliary variables. More sophisticated algorithms, based on special functions, are shown to be superior. Continued fraction approximations via Lentz's Algorithm are developed to make the algorithms practical. A fast mean field variational Bayes (MFVB) approach to nonparametric regression when the predictors are subject to classical measurement error is investigated. It is shown that the use of such technology to the measurement error setting achieves reasonable accuracy. In tandem with the methodological development, a customized Markov chain Monte Carlo method is developed to facilitate the evaluation of accuracy of the MFVB method. Soft tissue reactions to materials in joint prostheses include discoloration, fibrosis, florid histiocytic reaction, and granulomatous inflammation with foreign body giant cell reaction. Clinical manifestations include pain and swelling. We report a case of temporomandibular joint Proplast-Teflon prosthesis, followed by the development of large cell lymphoma in the left parotid gland 10 years after joint replacement. While it is unclear whether the implant directly contributed to the development of lymphoma, this association has not been previously documented, prompting this report. The agéd number theoretic concept of continued fractions can enhance certain Bayesian computations. The crux of this claim is due to continued fraction representations of numerically challenging special function ratios that arise in Bayesian computing. Continued fraction approximation via Lentz's Algorithm often leads to efficient and stable computation of such quantities. Hall, P., Ormerod, J.T. & Wand, M.P. 2011, 'Theory of Gaussian variational approximation for a Poisson mixed model', Statistica Sinica, vol. 21, no. 1, pp. 369-389. Likelihood-based inference for the parameters of generalized linear mixed models is hindered by the presence of intractable integrals. Gaussian variational approximation provides a fast and effective means of approximate inference. We provide some theory for this type of approximation for a simple Poisson mixed model. In particular, we establish consistency at rate m -1/2 +n -1 , where m is the number of groups and n is the number of repeated measurements. Likelihood-based inference for the parameters of generalized linear mixed models is hindered by the presence of intractable integrals. Gaussian variational approximation provides a fast and effective means of approximate inference. We provide some theory for this type of approximation for a simple Poisson mixed model. In particular, we establish consistency at rate m(-1/2) + n(-1), where in is the number of groups and n is the number of repeated measurements. We investigate kernel estimators of multivariate density derivative functions using general (or unconstrained) bandwidth matrix selectors. These density derivative estimators have been relatively less well researched than their density estimator analogues. A major obstacle for progress has been the intractability of the matrix analysis when treating higher order multivariate derivatives. With an alternative vectorization of these higher order derivatives, mathematical intractabilities are surmounted in an elegant and unified framework. The finite sample and asymptotic analysis of squared errors for density estimators are generalized to density derivative estimators. Moreover, we are able to exhibit a closed form expression for a normal scale bandwidth matrix for density derivative estimators. These normal scale bandwidths are employed in a numerical study to demonstrate the gain in performance of unconstrained selectors over their constrained counterparts. We introduce variational Bayes methods for fast approximate inference in functional regression analysis. Both the standard cross-sectional and the increasingly common longitudinal settings are treated. The methodology allows Bayesian functional regression analyses to be conducted without the computational overhead of Monte Carlo methods. Confidence intervals of the model parameters are obtained both using the approximate variational approach and nonparametric resampling of clusters. The latter approach is possible because our variational Bayes functional regression approach is computationally efficient. A simulation study indicates that variational Bayes is highly accurate in estimating the parameters of interest and in approximating the Markov chain Monte Carlo-sampled joint posterior distribution of the model parameters. The methods apply generally, but are motivated by a longitudinal neuroimaging study of multiple sclerosis patients. Code used in simulations is made available as a web-supplement. Bayesian hierarchical models are attractive structures for conducting regression analyses when the data are subject to missingness. However, the requisite probability calculus is challenging and Monte Carlo methods typically are employed. We develop an alternative approach based on deterministic variational Bayes approximations. Both parametric and nonparametric regression are considered. Attention is restricted to the more challenging case of missing predictor data. We demonstrate that variational Bayes can achieve good accuracy, but with considerably less computational overhead. The main ramification is fast approximate Bayesian inference in parametric and nonparametric regression models with missing data. We demonstrate and critique the new Bayesian inference package Infer.NET in terms of its capacity for statistical analyses. Infer.NET differs from the well-known BUGS Bayesian inference packages in that its main engine is the variational Bayes family of deterministic approximation algorithms rather than Markov chain Monte Carlo. The underlying rationale is that such deterministic algorithms can handle bigger problems due to their increased speed, despite some loss of accuracy. We find that Infer.NET is a well-designed computational framework and offers significant speed advantages over BUGS. Nevertheless, the current release is limited in terms of the breadth of models it can handle, and its inference is sometimes inaccurate. Supplemental materials accompany the online version of this article. We study kernel estimation of highest-density regions (HDR). Our main contributions are two-fold. First, we derive a uniform-in-bandwidth asymptotic approximation to a risk that is appropriate for HDR estimation. This approximation is then used to derive a bandwidth selection rule for HDR estimation possessing attractive asymptotic properties. We also present the results of numerical studies that illustrate the benefits of our theory and methodology. Variational approximations facilitate approximate inference for the parameters in complex statistical models and provide fast, deterministic alternatives to Monte Carlo methods. However, much of the contemporary literature on variational approximations is in Computer Science rather than Statistics, and uses terminology, notation, and examples from the former field. In this article we explain variational approximation in statistical terms. In particular, we illustrate the ideas of variational approximation using examples that are familiar to statisticians. We study the marginal longitudinal nonparametric regression problem and some of its semiparametric extensions. We point out that, while several elaborate proposals for efficient estimation have been proposed, a relative simple and straightforward one, based on penalized splines, has not. After describing our approach, we then explain how Gibbs sampling and the BUGS software can be used to achieve quick and effective implementation. Illustrations are provided for nonparametric regression and additive models. We provide several illustrations of Bayesian semiparametric regression analyses in the BRugs package. BRugs facilitates use of the BUGS inference engine from the R computing environment and allows analyses to be managed using scripts. The examples are chosen to represent an array of non-standard situations, for which mixed model software is not viable. The situations include: the response variable being outside of the one-parameter exponential family, data subject to missingness, data subject to measurement error and parameters entering the model via an index. We devise a classification algorithm based on generalized linear mixed model (GLMM) technology. The algorithm incorporates spline smoothing, additive model-type structures and model selection. For reasons of speed we employ the Laplace approximation, rather than Monte Carlo methods. Tests on real and simulated data show the algorithm to have good classification performance. Moreover, the resulting classifiers are generally interpretable and parsimonious. Background High-throughput flow cytometry experiments produce hundreds of large multivariate samples of cellular characteristics. These samples require specialized processing to obtain clinically meaningful measurements. A major component of this processing is a form of cell subsetting known as gating. Manual gating is time-consuming and subjective. Good automatic and semi-automatic gating algorithms are very beneficial to high-throughput flow cytometry. High-content flow cytometric screening (FC-HCS) is a 21st Century technology that combines robotic fluid handling, flow cytometric instrumentation, and bioinformatics software, so that relatively large numbers of flow cytometric samples can be processed and analysed in a short period of time. We revisit a recent application of FC-HCS to the problem of cellular signature definition for acute graft-versus-host-disease. Our focus is on automation of the data processing steps using recent advances in statistical methodology. We demonstrate that effective results, on par with those obtained via manual processing, can be achieved using our automatic techniques. Such automation of FC-HCS has the potential to drastically improve diagnosis and biomarker identification. The t-distribution allows the incorporation of outlier robustness into statistical models while retaining the elegance of likelihood-based inference. In this paper, we develop and implement a linear mixed model for the general design of the linear mixed model using the univariate t-distribution. This general design allows a considerably richer class of models to be fit than is possible with existing methods. Included in this class are semi-parametric regression and smoothing and spatial models. Semiparametric regression is a fusion between parametric regression and nonparametric regression that integrates low-rank penalized splines, mixed model and hierarchical Bayesian methodology thus allowing more streamlined handling of longitudinal and spatial correlation. We review progress in the field over the five-year period between 2003 and 2007. We find semiparametric regression to be a vibrant field with substantial involvement and activity, continual enhancement and widespread application. Multivariate kernel density estimation provides information about structure in data. Feature significance is a technique for deciding whether featuressuch as local extremaare statistically significant. This paper proposes a framework for feature significance in d-dimensional data which combines kernel density derivative estimators and hypothesis tests for modal regions. For the gradient and curvature estimators distributional properties are given, and pointwise test statistics are derived. The hypothesis tests extend the two-dimensional feature significance ideas of Godtliebsen et al. [Godtliebsen, F., Marron, J.S., Chaudhuri, P., 2002. Significance in scale space for bivariate density estimation. Journal of Computational and Graphical Statistics 11, 121]. The theoretical framework is complemented by novel visualization for three-dimensional data. Applications to real data sets show that tests based on the kernel curvature estimators perform well in identifying modal regions. These results can be enhanced by corresponding tests with kernel gradient estimators. We present a sequential Monte Carlo sampler algorithm for the Bayesian analysis of generalised linear mixed models (GLMMs). These models support a variety of interesting regression-type analyses, but performing inference is often extremely difficult, even when using the Bayesian approach combined with Markov chain Monte Carlo (MCMC). The Sequential Monte Carlo sampler (SMC) is a new and general method for producing samples from posterior distributions. In this article we demonstrate use of the SMC method for performing inference for GLMMs. We demonstrate the effectiveness of the method on both simulated and real data, and find that sequential Monte Carlo is a competitive alternative to the available MCMC techniques. We consider additive models fitting and inference when the response variable is a sample extreme. Non-linear covariate effects are handled using the mixed model representation of penalised splines. A fitting algorithm based on likelihood approximations is derived. The efficacy of the resulting methodology is demonstrated via application to simulated and real data. Highly structured generalised response models, such as generalised linear mixed models and generalised linear models for time series regression, have become an indispensable vehicle for data analysis and inference in many areas of application. However, their use in practice is hindered by high-dimensional intractable integrals. Quasi-Monte Carlo (QMC) is a dynamic research area in the general problem of high-dimensional numerical integration, although its potential for statistical applications is yet to be fully explored. We survey recent research in QMC, particularly lattice rules, and report on its application to highly structured generalised response models. New challenges for QMC are identified and new methodologies are developed. QMC methods are seen to provide significant improvements compared with ordinary Monte Carlo methods. Semiparametric mixed model analysis benefits from variability estimates such as standard errors of effect estimates and variability bars to accompany curve estimates. We show how the underlying variance calculations can be done extremely efficiently compared with the direct naïve approach. These streamlined calculations are linear in the number of subjects, representing a two orders of magnitude improvement. We study computational issues for support vector classification with penalised spline kernels. We show that, compared with traditional kernels, computational times can be drastically reduced in large problems making such problems feasible for sample sizes as large as ~106. The optimisation technology known as interior point methods plays a central role. Penalised spline kernels are also shown to allow simple incorporation of low-dimensional structure such as additivity. This can aid both interpretability and performance. An exposition on the use of O'Sullivan penalized splines in contemporary semiparametric regression, including mixed model and Bayesian formulations, is presented. O'Sullivan penalized splines are similar to P-splines, but have the advantage of being a direct generalization of smoothing splines. Exact expressions for the O'Sullivan penalty matrix are obtained. Comparisons between the two types of splines reveal that O'Sullivan penalized splines more closely mimic the natural boundary behaviour of smoothing splines. Implementation in modern computing environments such asMatlab,r andbugs is discussed. This paper develops inference for the significance of features such as peaks and valleys observed in additive modeling through an extension of the SiZer-type methodology of Chaudhuri and Marron (1999) and Godtliebsen et al. (2002, 2004) to the case where the outcome is discrete. We consider the problem of determining the significance of features such as peaks or valleys in observed covariate effects both for the case of additive modeling where the main predictor of interest is univariate as well as the problem of studying the significance of features such as peaks, inclines, ridges and valleys when the main predictor of interest is geographical location. We work with low rank radial spline smoothers to allow to the handling of sparse designs and large sample sizes. Reducing the problem to a Generalised Linear Mixed Model (GLMM) framework enables derivation of simulation-based critical value approximations and guards against the problem of multiple inferences over a range of predictor values. Such a reduction also allows for easy adjustment for confounders including those which have an unknown or complex effect on the outcome. A simulation study indicates that our method has satisfactory power. Finally, we illustrate our methodology on several data sets. The Fisher information for the canonical link exponential family generalised linear mixed model is derived. The contribution from the fixed effects parameters is shown to have a particularly simple form. Top quartile serum prolactin levels confer a twofold increase in the relative risk of developing breast cancer. Prolactin exerts this effect at an ill defined point in the carcinogenic process, via mechanisms involving direct action via prolactin receptors within mammary epithelium and/or indirect action through regulation of other hormones such as estrogen and progesterone. We have addressed these questions by examining mammary carcinogenesis in transplants of mouse mammary epithelium expressing the SV40T oncogene, with or without the prolactin receptor, using host animals with a normal endocrine system. In prolactin receptor knockout transplants the area of neoplasia was significantly smaller (7 versus 17%; P<0.001 at 22 weeks and 7 versus 14%; P=0.009 at 32 weeks). Low-grade neoplastic lesions displayed reduced BrdU incorporation rate (11.3 versus 17% P=0.003) but no change in apoptosis rate. Tumor latency increased (289 days versus 236 days, P<0.001). Tumor frequency, growth rate, morphology, cell proliferation and apoptosis were not altered. Thus, prolactin acts directly on the mammary epithelial cells to increase cell proliferation in preinvasive lesions, resulting in more neoplasia and acceleration of the transition to invasive carcinoma. Targeting of mammary prolactin signaling thus provides a strategy to prevent the early progression of neoplasia to invasive carcinoma. Asthma researchers have found some evidence that geographical variations in susceptibility to asthma could reflect the effect of community level factors such as exposure to violence. Our methodology was motivated by a study of age at onset of asthma among children of inner-city neighbourhoods in East Boston. Cox's proportional hazards model was not appropriate since there was not enough information about the nature of geographical variations so as to impose a parametric relationship. In addition, some of the known risk factors were believed to have non-linear log-hazard ratios. We extend the geoadditive models of Kamman and Wand to the case where the outcome measure is a possibly censored time to event. We reduce the problem to one of fitting a Poisson mixed model by using Poisson approximations in conjunction with a mixed model formulation of generalized additive modelling. Our method allows for low-rank additive modelling, provides likelihood-based estimation of all parameters including the amount of smoothing and can be implemented using standard software. We illustrate our method on the East Boston data. Linear mixed models are able to handle an extraordinary range of complications in regression-type analyses. Their most common use is to account for within-subject correlation in longitudinal data analysis. They are also the standard vehicle for smoothing spatial count data. However, when treated in full generality, mixed models can also handle spline-type smoothing and closely approximate kriging. This allows for nonparametric regression models (e.g., additive models and varying coefficient models) to be handled within the mixed model framework. The key is to allow the random effects design matrix to have general structure; hence our label general design. For continuous response data, particularly when Gaussianity of the response is reasonably assumed, computation is now quite mature and supported by the R, SAS and S-PLUS packages. Wand, M. 2006, 'Support vector machine classification', Parabola, vol. 42, no. 2, pp. 21-37. Two data analytic research areaspenalized splines and reproducing kernel methodshave become very vibrant since the mid-1990s. This article shows how the former can be embedded in the latter via theory for reproducing kernel Hilbert spaces. This connection facilitates cross-fertilization between the two bodies of research. In particular, connections between support vector machines and penalized splines are established. These allow for significant reductions in computational complexity, and easier incorporation of special structure such as additivity. There were over 600 antibodies submitted to HLDA8, with many of unknown specificity. Of these, 101 antibodies were selected for a blind panel study that also included 5 negative controls and 27 positive controls of known CD specificity making a total of 133 antibodies in the final panel. Of the 101 unknowns, 31 antibodies were identified during the course of this blind panel study as being specific for known molecules and included some specific for MHC class II antigens, CD45 isoforms and the Dombrock antigen. Several antibody pairs among those in the blind panel were found to have very similar staining patterns and were therefore compared by immunohistochemical and/or Western blot analyses for identity. This paper develops a likelihood-based method for fitting additive models in the presence of measurement error. It formulates the additive model using the linear mixed model representation of penalized splines. In the presence of a structural measurement error model, the resulting likelihood involves intractable integrals, and a Monte Carlo expectation maximization strategy is developed for obtaining estimates. The method's performance is illustrated with a simulation study. Penalized splines can be viewed as BLUPs in a mixed model framework, which allows the use of mixed model software for smoothing. Thus, software originally developed for Bayesian analysis of mixed models can be used for penalized spline regression. Bayesian inference for nonparametric models enjoys the flexibility of nonparametric models and the exact inference provided by the Bayesian inferential machinery. This paper provides a simple, yet comprehensive, set of programs for the implementation of nonparametric Bayesian analysis in WinBUGS. Good mixing properties of the MCMC chains are obtained by using low-rank thin-plate splines, while simulation times per iteration are reduced employing WinBUGS specific computational tricks. Ngo, L & Wand, M 2004, 'Smoothing with mixed model software', Journal of Statistical Software, vol. 9, no. 1. Background: The early childhood allergen-induced immune responses associated with atopic disease and IgE production in early life are not well understood. Objective: We assessed the relationship of allergen-induced cytokine production by PBMCs to both atopic disease and to IgE increase in a cohort of children with a parental history of allergy or asthma (n = 112) at a median of 2 years of age. We examined cockroach (Bla g 1)-induced, house dust mite (Der f 1)-induced, and cat (Fel d 1)-induced cytokine secretion, including secretion of IFN-, IL-13, IL-10, and TNF-. We investigated whether distinct cytokine patterns associated with atopic disease can be detected in immune responses of children. Methods: PBMCs were isolated, and allergen-induced cytokine secretion was analyzed by means of ELISA. Atopic disease was defined as physician- or nurse-diagnosed eczema or hay fever. Increased IgE was defined as an IgE level of greater than 35 U/mL to dust mite, cockroach, cat, and egg white or a total IgE level of 60 U/mL or greater. Results: Compared with children without atopic disease, children with atopic disease had lower Der f 1 (P = .005) and Bla g 2 (P = .03) allergen-induced IFN- levels. Compared with children without increased IgE (n = 95), those with increased IgE (n = 16) had higher Der f 1-induced (P = .006) and Fel d 1-induced (P = .005) IL-13 levels and lower Bla g 2-induced (P = .03) IFN- levels. Compared with children with neither atopic disease nor repeated wheeze, children with both atopic disease and repeated wheeze had lower levels of allergen-induced IFN- (P = .01 for Der f 1 and P = .02 for Bla g 2) cytokine secretion. Conclusion: In young children at risk for asthma or allergy, decreased allergen-induced IFN- secretion is associated with atopic disease and, in some cases, with increased IgE levels. Increased allergen-induced IL-13 secretion is most strongly associated with early life increase of IgE. Particulate air pollution has been associated with adverse respiratory health effects. This study assessed the utility of expired nitric oxide to detect acute airway responses to metal-containing fine particulates. Using a repeated-measures study design, we investigated the association between the fractional concentration of expired nitric oxide (FENO) and exposure to particulate matter with an aerodynamic mass median diameter of 2.5 m (PM2.5) in boilermakers exposed to residual oil fly ash and metal fumes. Subjects were monitored for 5 days during boiler repair overhauls in 1999 (n = 20 or 2000 (n = 14). The Wilcoxon median baseline FENO was 10.6 ppb [95% confidence interval (CI): 9.1, 12.7] in 1999 and 7.4 ppb (95% CI: 6.7, 8.0) in 2000. The Wilcoxon median PM2.5 8-hr time-weighted average was 0.56 mg/m3 (95% CI: 0.37, 0.93) in 1999 and 0.86 mg/m3 (95% CI: 0.65, 1.07) in 2000. FENO levels during the work week were significantly lower than baseline FENO in 1999 (p < 0.001). A significant inverse exposure-response relationship between log-transformed FENO and the previous workday's PM2.5 concentration was found in 1999, after adjusting for smoking status, age, and sampling year. With each 1 mg/m3 incremental increase in PM2.5 exposure, log FENO decreased by 0.24 (95% CI: -0.38, -0.10) in 1999. The lack of an exposure-response relationship between PM2.5 exposure and FENO in 2000 could be attributable to exposure misclassification resulting from the use of respirators. In conclusion, occupational exposure to metal-containing fine particulates was associated with significant decreases in FENO in a survey of workers with limited respirator usage. Although human experimental studies have shown that gaseous pollutants enhance the inflammatory response to allergens, human data on whether combustion particulates enhance the inflammatory response to allergen are limited. Therefore, we conducted a human experimental study to investigate whether combustion particulates enhance the inflammatory response to aeroallergens. "Enhancement" refers to a greater-than-additive response when combustion particulates are delivered with allergen, compared with the responses when particulates and allergen are delivered alone. Eight subjects, five atopic and three nonatopic, participated in three randomized exposure-challenge sessions at least 2 weeks apart (i.e., clean air followed by allergen, particles followed by no allergen, or particles followed by allergen). Each session consisted of nasal exposure to combustion particles (target concentration of 1.0 mg/m3) or clean air for 1 hr, followed 3 hr later by challenge with whole pollen grains or placebo. Nasal lavage was performed immediately before particle or clean air exposure, immediately after exposure, and 4, 18 and 42 hr after pollen challenge. Cell counts, differentials, and measurement of cytokines were performed on each nasal lavage. In atopic but not in nonatopic subjects, when allergen was preceded by particulates, there was a significant enhancement immediately after pollen challenge in nasal lavage leukocytes and neutrophils (29.7 × 103 cells/mL and 25.4 × 103 cells/mL, respectively). This represents a 143% and 130% enhancement, respectively. The enhanced response for interleukin-4 was 3.23 pg/mL (p = 0.06), a 395% enhancement. In atopic subjects there was evidence of an enhanced response when particulates, as compared to clean air, preceded the allergen challenge. Kammann, EE & Wand, M 2003, 'Geoadditive models', Journal of the Royal Statistical Society Series C: Applied Statistics, vol. 52, no. 1, pp. 1-18. Wand, M 2003, 'Smoothing and mixed models', Computational Statistics, vol. 18, pp. 223-249. Kim, JY, Hauser, R, Wand, M, Herrick, RF, Houk, RS, Aeschliman, DB, Woodin, A & Christiani, DC 2003, 'Association of expired nitric oxide with urinary metal concentrations in boilermakers exposed to residual oil fly ash', American Journal of Industrial Medicine, vol. 44, no. 5, pp. 458-466. Zeng, Q, Wand, M, Young, AJ, Rawn, J, Milford, EL, Mentzer, SJ & Greenes, RA 2002, 'Matching of flow-cytometry histograms using information theory in feature space. ', Proceedings. AMIA Symposium, pp. 929-933. Flow cytometry is a widely available technique for analyzing cell-surface protein expression. Data obtained from flow cytometry is frequently used to produce fluorescence intensity histograms. Comparison of histograms can be useful in the identification of unknown molecules and in the analysis of protein expression. In this study, we examined the combination of a new smoothing technique called SiZer with information theory to measure the difference between cytometry histograms. SiZer provides cross-bandwidth smoothing and allowed analysis in feature space. The new methods were tested on a panel of monoclonal antibodies raised against proteins expressed on peripheral blood lymphocytes and compared with previous methods. The findings suggest that comparing information content of histograms in feature space is effective and efficient for identifying antibodies with similar cell-surface binding patterns. This article proposes a new method for estimation of the hazard function from a set of censored failure time data, with a view to extending the general approach to more complicated models. The approach is based on a mixed model representation of penalized spline hazard estimators. One payoff is the automation of the smoothing parameter choice through restricted maximum likelihood. Another is the option to use standard mixed model software for automatic hazard estimation. © 2002 American Statistical Association, Institute of Mathematical Statistics, and Interface Foundation of North America. Kim, E-Y, Zeng, Q, Rawn, J, Wand, M, Young, AJ, Milford, E, Mentzer, SJ & Greenes, RA 2002, 'Using a neural network with flow cytometry histograms to recognize cell surface protein binding patterns. ', Proceedings. AMIA Symposium, pp. 380-384. Flow cytometric systems are being used increasingly in all branches of biological science including medicine. To develop analytic tools for identifying unknown molecules such as the antibodies that recognize different structure in the identical antigens, we explored use of a neural network in flow cytometry data comparison. Peak locations were extracted from flow cytometry histograms and we used the Marquardt backpropagation neural networks to recognize identical or similar binding patterns between antibodies and antigens based on the peak locations. The neural network showed 93.8% to 99.6% correct classification rates for identical or similar molecules. This suggests that the neural network technique can be useful in flow cytometry histogram data analysis. Mammen, E, Marron, JS, Turlach, BA & Wand, M 2001, 'A general projection framework for constrained smoothing', Statistical Science, vol. 16, no. 3, pp. 232-248. Coull, BA, Schwartz, J & Wand, M 2001, 'Respiratory health and air pollution: additive mixed model analyses', Biostatistics, vol. 2, no. 3, pp. 337-349. Zeng, Q, Young, AJ, Boxwala, A, Rawn, J, Long, W, Wand, M, Salganik, M, Milford, EL, Mentzer, SJ & Greenes, RA 2001, 'Molecular identification using flow cytometry histograms and information theory. ', Proceedings. AMIA Symposium, pp. 776-780. Flow cytometry is a common technique for quantitatively measuring the expression of individual molecules on cells. The molecular expression is represented by a frequency histogram of fluorescence intensity. For flow cytometry to be used as a knowledge discovery tool to identify unknown molecules, histogram comparison is a major limitation. Many traditional comparison methods do not provide adequate assessment of histogram similarity and molecular relatedness. We have explored a new approach applying information theory to histogram comparison, and tested it with histograms from 14 antibodies over 3 cell types. The information theory approach was able to improve over traditional methods by recognizing various non-random correlations between histograms in addition to similarity and providing a quantitative assessment of similarity beyond hypothesis testing of identity. Wand, MP 1999, 'Wand, M.P. (1997), 'Data-based choice of histogram bin width,' the American statistician, 51, 59-64', American Statistician, vol. 53, no. 2, p. 174. Gijbels, I, Pope, A & Wand, M 1999, 'Understanding exponential smoothing via kernel regression', Journal of The Royal Statistical Society Series B-methodological, vol. 61, no. 1, pp. 39-50. Augustyns, I & Wand, M 1998, 'Bandwidth selection for local polynomial smoothing of multinomial data', Computational Statistics, vol. 13, no. 4, pp. 447-461. Wand, M & Gutierrez, RG 1997, 'Exact risk approaches to smoothing parameter selection', Journal of Nonparametric Statistics, vol. 8, no. 4, pp. 337-354. A semiparametric version of the generalized linear model for regression response was developed by replacing the linear combination with nonparametric components. The generalized partially linear single-index models were formed by combining simpler, conventional models such as single-index and partially linear models. Furthermore, the asymptotic distributions of the linear combination involving unknown parameters and unknown function was obtained by using local linear methods. We investigate the extension of binning methodology to fast computation of several auxiliary quantities that arise in local polynomial smoothing. Examples include degrees of freedom measures, cross-validation functions, variance estimates, and exact measures of error. It is shown that the computational effort required for such approximations is of the same order of magnitude as that required for a binned local polynomial smooth. Virtually all common bandwidth selection algorithms are based on a certain type of kernel functional estimator. Such estimators can be computationally very expensive, so in practice they are often replaced by fast binned approximations. This is especially worthwhile when the bandwidth selection method involves iteration. Results for the accuracy of these approximations are derived and then used to provide an understanding of the number of binning grid points required to achieve a given level of accuracy. Our results apply to both univariate and multivariate settings. Multivariate contexts are of particular interest since the cost due to having a higher number of grid points can be quite significant. We investigate the extension of the nonparametric regression technique of local polynomial fitting with a kernel weight to generalized linear models and quasi-likelihood contexts. In the ordinary regression case, local polynomial fitting has been seen to have several appealing features in terms of intuitive and mathematical simplicity. One noteworthy feature is the better performance near the boundaries compared to the traditional kernel regression estimators. These properties are shown to carry over to generalized linear model and quasi-likelihood settings. We also derive the asymptotic distributions of the proposed class of estimators that allow for straightforward interpretation and extensions of state-of-the-art bandwidth selection methods. © 1995 Taylor & Francis Group, LLC. Herrmann, E., Wand, M., Engel, J. & Gasser, T. 1995, 'A bandwidth selector for bivariate kernel regression', Journal of The Royal Statistical Society Series B-methodological, vol. 57, no. 1, pp. 171-180. Ruppert, D, Sheather, SJ & Wand, M 1995, 'An effective bandwidth selector for local least squares regression', Journal of the American Statistical Association, vol. 90, no. 432, pp. 1257-1270. Local least squares kernel regression provides an appealing solution to the nonparametric regression, or "scatterplot smoothing," problem, as demonstrated by Fan, for example. The practical implementation of any scatterplot smoother is greatly enhanced by the availability of a reliable rule for automatic selection of the smoothing parameter. In this article we apply the ideas of plug-in bandwidth selection to develop strategies for choosing the smoothing parameter of local linear squares kernel estimators. Our results are applicable to odd-degree local polynomial fits and can be extended to other settings, such as derivative estimation and multiple nonparametric regression. An implementation in the important case of local linear fits with univariate predictors is shown to perform well in practice. A by-product of our work is the development of a class of nonparametric variance estimators, based on local least squares ideas, and plug-in rules for their implementation. Aldershof, B, Marron, JS, Park, BU & Wand, M 1995, 'Facts about the gaussian probability density function', Applicable Analysis:, vol. 59, no. 1, pp. 289-306. Multivariate extensions of binning techniques for fast computation of kernel estimators are described and examined. Several questions arising from this multivariate extension are addressed. The choice of binning rule is discussed, and it is demonstrated that linear binning leads to substantial accuracy improvements over simple binning. An investigation into the most appropriate means of computing the multivariate discrete convolutions required for binned kernel estimators is also given. The results of an empirical study indicate that, in multivariate settings, the fast Fourier transform offers considerable time savings compared to direct calculation of convolutions. © 1994, American Statistical Association, Institute of Mathematical Statistics, and Interface Foundation of North America. Wand, M 1994, 'Fast computation of multivariate kernel estimators', Journal of Computational and Graphical Statistics, vol. 3, no. 4, pp. 433-445. Wand, M. & Jones, M.C. 1994, 'Multivariate plug-in bandwidth selection', Computational Statistics, vol. 9, pp. 97-116. The basic kernel density estimator in one dimension has a single smoothing parameter, usually referred to as the bandwidth. For higher dimensions, however, there are several options for smoothing parameterization of the kernel estimator. For the bivariate case, there can be between one and three independent smoothing parameters in the estimator, which leads to a flexibility versus complexity trade-off when using this estimator in practice. In this article the performances of the different possible smoothing parameterizations are compared, using both the asymptotic and exact mean integrated squared error. Our results show that it is important to have independent smoothing parameters for each of the coordinate directions. Although this is enough for many situations, for densities with high amounts of curvature in directions different to those of the coordinate axes, substantial gains can be made by allowing the kernel mass to have arbitrary orientations. The 'sphering' approaches to choosing this orientation are shown to be detrimental in general, however. © 1993 Taylor & Francis Group, LLC. We introduce a universal functional Q(f) which measures the difficulty a given density f poses to the standard kernel density estimate if one uses the optimal smoothing factor, The functional is well-defined (but possibly infinite) for all densities, regardless of their smoothness or tail properties. It is proportional to the limit of n2/5E |fn — f| where fnis the optimal kernel estimate. This paper settles some questions left unanswered in Devroye and Györfi (1985) and Hall and Wand (1988). © 1993, Taylor & Francis Group, LLC. All rights reserved. Devroye, L. & Wand, M. 1993, 'On the influence of the density on the kernel estimate', Statistics, vol. 24, pp. 215-233. Wand, M 1992, 'Error analyses for general multivariate kernel estimators', Journal of Nonparametric Statistics, vol. 2, pp. 1-15. Ruppert, D & Wand, M 1992, 'Correcting for kurtosis in density estimation', Australian Journal of Statistics, vol. 34`, pp. 19-29. For the density estimation problem the global window width kernel density estimator does not perform well when the underlying density has features that require different amounts of smoothing at different locations. In this article we propose to transform the data with the intention that a global window width is more appropriate for the density of the transformed data. The density estimate of the original data is the 'back-transform' by change of variables of the global window width estimate of the transformed data's density. We explore choosing the transformation from suitable parametric families. Data-based selection rules for the choice of transformations and the window width are discussed. Application to real and simulated data demonstrates the usefulness of our proposals. © 1991 Taylor & Francis Group, LLC. Carroll, RJ & Wand, M 1991, 'Semiparametric estimation in logistic measurement error models', Journal of The Royal Statistical Society Series B-methodological, vol. 53, no. 3, pp. 573-585. Scott, DW & Wand, M 1991, 'Feasibility of multivariate density estimates', Biometrika, vol. 78, no. 1, pp. 197-205. Wand, M. 1990, 'On exact L1 rates of convergence in non-parametric kernel regression', Scandinavian Journal of Statistics, vol. 17, no. 3, pp. 251-256. Hardle, W., Marron, J.S. & Wand, M. 1990, 'Bandwidth choice for density derivatives', Journal of The Royal Statistical Society Series B-methodological, vol. 52, no. 1, pp. 223-232. Chen, WY & Wand, MP 2018, 'Factor graph fragmentization of expectation propagation'. Hall, P, Johnstone, IM, Ormerod, JT, Wand, MP & Yu, JCF 2018, 'Fast and Accurate Binary Response Mixed Model Analysis via Expectation Propagation'. seen to provide consistent estimation of the exact likelihood surface. methodology for binary mixed model analysis.